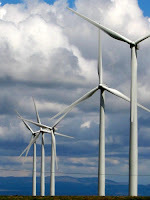 TXU Corp. and Airtricity, a renewable energy company based in Dublin, Ireland, have completed construction of the Forest Creek Wind Farm, increasing TXU's renewable energy capacity by 125 MW. The wind farm is expected to provide power for more than 24,000 homes -- enough to meet the annual energy needs of about 56,000 Texans. It is located approximately 25 miles southeast of Big Spring, Texas. TXU Wholesale and its affiliates currently have contracts for 705 MW of renewable energy from 756 wind turbines. "Airtricity is pleased to be a part of bringing new green power sources to Texas customers and we applaud TXU's efforts to increase its green purchasing," said Airtricity CEO Eddie O'Connor. "Bringing our first North American project online is a major milestone for Airtricity, and is part of major expansion plans for Airtricity in the U.S. and Texas." The wind farm generates electricity from 54 2.3-MW Siemens wind turbines. Airtricity owns and operates the facility. TXU Corp., a Dallas-based energy company, manages a portfolio of competitive and regulated energy businesses primarily in Texas. In the competitive TXU Wholesale is the largest purchaser of wind-generated electricity in Texas and fifth largest in the United States. Read more from The Naib over at the Sietch Blog. TXU has definitely taken it upon themselves to try and take advantage of the state's record wind production. Kudos to Texas energy companies for walking the walk.